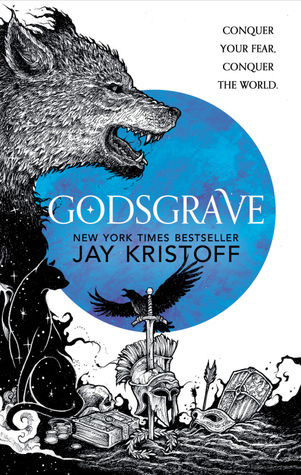 It has been a few days since I finished reading Godsgrave, and I have the flu so my brain has been all muddled trying to come up with a review (I read the book before the flu took hold – thankfully). It doesn’t help that I want to write without giving away any spoilers, so where do I begin? Like Nevernight, Godsgrave begins by switching back and forth between two different events in Mia’s timeline. It was used to great affect in the first book, but I’m not sure it has the same impact here. The characters I fell in love with – Mia, Ashlinn, and Mercurio – were all back, along with a whole heap of new characters in the form of the Gladiatii. I really should try not to get attached to any of the characters, as the body counts in these books are high. Nevertheless, I was dismayed at a couple of deaths early on, which made me a little more cautious when it came to some of the other characters. There is one character who makes only a couple of brief cameos and I can tell you that it blew me away (I really, really want to let Mr Kindly out of the bag on this, but I won’t). The plot is fantastic, with twists and turns you simply can’t predict. A lot of second books in a trilogy suffer from middle-book-slump, but there is none of that here. If anything, I felt Godsgrave was a stronger book in this regard. Nevernight felt like more of a character and situation setup by comparison. The big surprises at the end (and there were a few of them) I didn’t see coming and completely blew me away. All in all there isn’t much I disliked about Godsgrave. The love affair Mia engages in felt a little too forced, since the relationship didn’t develop in a more natural way, especially after what happened in Book One and Mia’s penchant for revenge. Then again, I may just have preferred her to be with someone else 😉 The long passages in italics to denote the previous/lead-up event also hurt my eyes, but ultimately I can deal with it since it doesn’t last the entire book. Godsgrave is out now, and if you have read Nevernight, go grab a copy. If you haven’t read either, then buy both.